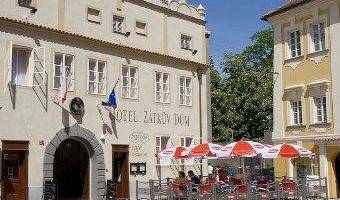 Příjemný, klidný hotel na jihu Moravy s možností využití bazénu, vířivek. V okolí vinné sklepy, cyklotrasy, trasy pro běžecké lyžování. Jacob Hostel is situated in one of the most picturesque squares in the pedestrian zone right in the heart of the city Brno on the fifth floor of a historic building. We offer accommodation in a new beautiful sunny apartment with the fascinating roof terrace looking over the Brno churches and the Špilberk castle. The apartment is suitable for 2-4 persons; it includes the fully equipped kitchen, bathroom with a bath, hairdryer, TV, including Smart TV, Wi-Fi… (its area is about 80m2 + 25m2 terrace). Accommodation in center of Brno with astonishing view! Modern City Apart Hotel Brno with a guarded garage offers a very spacious elegantly furnished rooms and apartments. 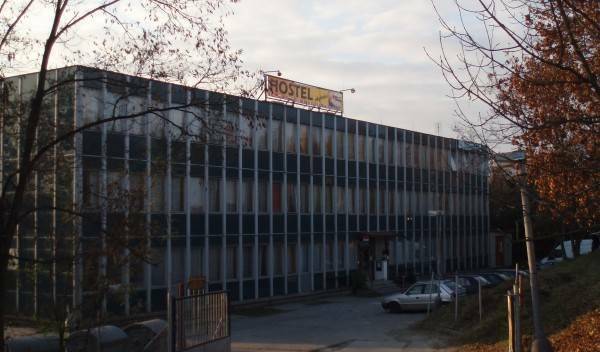 The Bila ruze hotel (White Rose Hotel) is situated about one km from the historical centre, near the 196b exit of the Prague-Bratislava motorway and next to the exhibition grounds. Pay less for accommodation and more for experiences and fun. Quiet, safe hostel near to Prague. It is just 20 minutes by city train to the centr of Prague. Newly renovated spacious and luxurious apartments in the historical centre of the city of České Budějovice for the price of a hotel room. 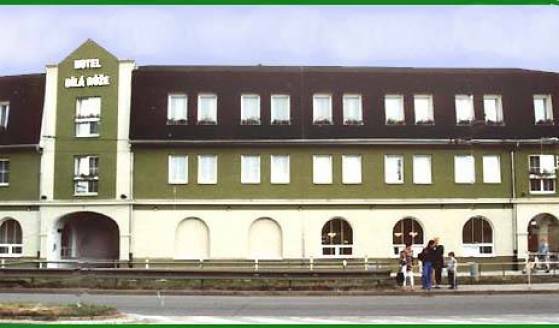 Hotel*** in the centre of Ceske Budejovice, parking, restaurant, wifi internet, reception round the clock. Cheaper variety of the room in depandance of the hotel, no minibar, no working desk. Easily furnished, possibility to add extrabed tu this room per 250 CZK, You can choose doublebed or 2 single beds. Cheaper variety of the room in depandance of the hotel, no minibar, no working desk. Easily furnished, possibility to add extrabed tu this room per 250 CZK. 3 sepasrated beds. NEW HOSTEL IN PRAGUE-EAST WITH 28 BEDS , 2X 2BEDROOMS, 4 X4BEDROOMS, 1X 3BEDROOM, 1X5BEDROOM, SHOWER IS SHEARD, WIFI FREE, TV, DVD, KITCHEN, CHAILDS CHEARS. A lovely well furnished private room with access to a shared bathroom, shower, kitchen supplies Direct city center access in 30 min, parking. Owners with knowledge of Prague. We speak English, Russian, Ukrainian, Czech, Italian and some French. Our minihotel is located in the center of Prague, near Vishegrad, seven minutes from Charles's square by tram. The Merrion hotel is a small elegant city hotel located in a prestique residential neighbourhood within easy reach of the Citys historical centre and is designed to cater for both corporate and tourist clientele alike. A newly reconstructed hotel situated close to the city center. Hotel Golden City-garni is situated in central Prague's Zizkov district, close to Wenceslas Square and well connected to many of Prague's major attractions, including the city's historic Old Town, New Town, Lesser Town and Prague Castle. Brand new hostel with comfortable and newly equipped premises. Pay much less than in hotel and feel more relaxed than staying in an average hostel. We are eager to welcome you with charm and cosy atmosphere. There is no kitchen with this room, however we could provide you, upon request with the basic silverware, as well as kettle for boiling water. Free WI-FI is available. The apartment has fully equipped kitchen, private bathroom with toilet. Free WI-FI is available. Pragues fanciest multicoloured hostel, not more than 15 minutes from the most important sights! Marabou is situated in charming and lively Art-Nouveau district of Zizkov, well known for its dense network of traditional pubs, cosy bars, and cool clubs. Comfortable mini-hotel in the centre of Praha. Prague Pillow - a brand new lovely guest-house situated 7 minutes by tram from the centre of Prague with a tram stop located just around the corner from the hostel. Neighborhoods of Zizkov offer lots of typical Prague pubs which are favourite with locals. An excellent accommodation in a great location against at affordable prices. Bar & Hostel in a refurbished 19th Century building. Amazing staff, live music, art, custom beds, Good Times! The Old Time Hotel apartments are located in Prague’s New Town in a Neo-Renaissance building with Art Nouveau elements right in the centre of Prague. Royal Court Boutique Hotel&Spa is a 4-star hotel located in central Prague near all the main attractions of the city. A special feature of the hotel is a cozy SPA with jacuzzi, sauna, infared sauna and an offer of all types of massage. The hotel style secesion, with a parking-lot, is situated in the City centre near the Wenzeslao Square. We offer accomodation in single-, double- or multiple guest rooms. Accommodation in Prague centre next to Wenceslas, air-conditioned rooms with shower, WC, TV, fridge, safe. Kitchen with free coffee, free Internet. Breakfast in Celebrity Cafe in price. 20% discount for dinner. Nonstop reception. City Partner Victoria Hotel is located in the residential Prague district Žižkov, only a 20 minute walk away from Wenceslas square, and 5 minutes by tram to the main train station. Hotel Prague City is situated in the historical centre of Prague, just a 10 minutes walk from the Old Town. Housed in an old building with typical Prague atmosphere, welcomes guests in rooms where it is a pleasure to take some time out to relax. Small family hostel near centre of Prague. We designed the rooms in a way that we ourselves would like to find on our travels. White room is small (5 m2) low budget room for couples. Blue and green are spacious rooms (25 m2) Blue room has matrimonial bed and 1 extra bed. Green has 2 beds and extra bed for 2 persons. Hostel One Prague belongs to the famous Spanish One chain. It is a hostel for backpackers, run by a young international staff that is waiting to help you in any matter. City Partner Gloria Hotel is a newly renovated hotel near the Prague City Center. BIG COMFORT FOR BUDGET PRICE AND WALKING DISTANCE TO THE OLD TOWN? STAY IN OUR KRASOVA ROOMS. We are one of the most central places in Prague, just off Pragues main Wenceslas Square. NEW! NEW! NEW! If you want to be in the middle of EVERYTHING, just book with us. Located in Pragues best central location, just off Wenceslas Square. Family run hotel Donatello offers luxurious accommodation in the center of Prague. Econom DBL is a room with DBL bed accommodating for 2 persons, with TV-sat, mini-bar, WIFI, coffee/tea making facilities, safe-box, bathroom, shower, WC, hair-dryer. Hotel Esplanade Prague 5* offers accommodation services on high level in the best prices of 5 stars hotels in Prague. Quiet, clean, comfortable and near the historical city center. ApartHotel offer fully equipped apartments in the historic heart of Prague, on the famous Wenceslas Square. The apartment-studio is composed of one bed/living room with kitchenette, a bathroom and a small hallway. Its total space is 35 sq. m. The apartment feature free WiFi internet access, TV-Sat. The apartment is composed of two rooms with kitchenette, a bathroom and a small hallway. Its total space is 65 sq. m. The apartment feature free WiFi internet access, TV-Sat. The apartment is composed of two rooms with kitchenette, a bathroom and a small hallway. Its total space is 62 sq. m. The apartment feature free WiFi internet access, TV-Sat. The apartment is composed of two bedrooms, 1 living with kitchen, a bathroom and a small hallway.. The kitchen is fully equipped with everything what you need to fix a delicious meal. The apartment feature free WiFi internet access, TV-Sat. The apartment is composed of two rooms with kitchen, a bathroom and a small hallway. Its total space is 67 sq. m. The apartment feature free WiFi internet access, TV-Sat. The Apartments are 105 sqm total, with 2 bedrooms, 1 living, kitchen, two bathroom. The kitchen is fully equipped with everything what you need to fix a delicious meal. The apartment feature free WiFi internet access, TV-Sat. The Apartments are 110 sqm total, with 3 bedrooms, 1 living, kitchen, two bathroom. The kitchen is fully equipped with everything what you need to fix a delicious meal. The apartment feature free WiFi internet access, TV-Sat. Backpacking troughout Europe or just visiting Prague for the weekend? Either way we're perfect for you! The Hostel is located in the heart of Prague Downtown, just a 1 minutes walk from Wenceslas Square and 3 minutes walk from famous Old Town Square as well as other places of sightseeing. The Hotel PRAGUE INN **** is very suitably located, immediately in Wenceslas Square in the very central position in Prague. Apartment has one bedroom, living room, bathroom and kitchen. Offering a minimalist décor, each apartment has satellite TV, air conditioning and tea and coffee making facilities. Each unit has a kitchenette equipped with a stove, utensils and storage space for groceries. Apartment has one or two bedrooms, living room, bathroom and kitchen. 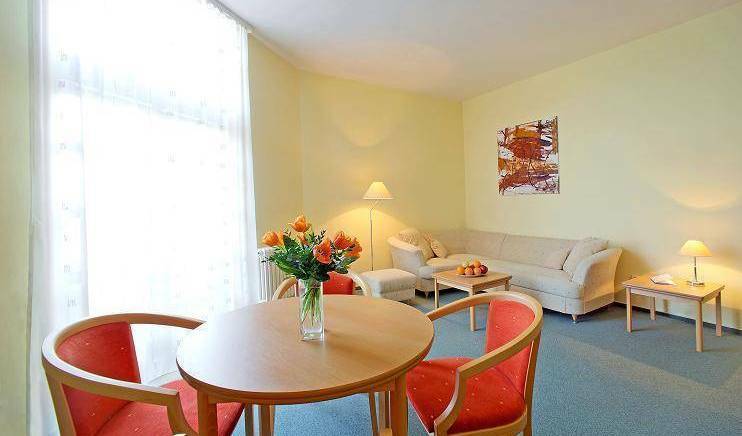 Offering a minimalist décor, each apartment has satellite TV, air conditioning and tea and coffee making facilities. Each unit has a kitchenette equipped with a stove, utensils and storage space for groceries. Shared room is situated in the main building on Karlova street 20. There are two bedrooms in the dorm - for 2 and 4 persons with one bathroom. There's frigde and wardrobes with lockers for each guest. Free wi-fi and ability to use the kitchen. Comfortable atmosphere, perfect location, attractions in the neighbourhood. We are a family owned company that has been serving its customers..
Hotel Atos is in the city centre of Prague (Mala Strana), walking distance to main sights of Prague like Charles Bridge, National Theatre, Wenceslas Square, Prague Castle etc. The newly built Red & Blue Design Hotel Prague enjoys a perfect location of being in walking distance to the city centre and at the same time is away from the hustle of touristic traffic. Private four-beds room with a private bathroom for up to 4 guests. Private six-beds room with a private bathroom for up to 6 guests. Private double room with a private bathroom for up to 2 guests. Private three-beds room with a private bathroom for up to 3 guests. Very nice place to stay! You will like it! Comfort of a private house! Only a few meters away from Charles Bridge, right in the heart of the historical centre of Prague, you will find Hostel Mango, a combination of modern services, fantastic location and relaxed comfort. We would like to offer you a inexpensive accommodation in Prague. Newly renovated spacious and luxurious apartments in the historical centre of the city of Český Krumlov for the price of a hotel room. Dakura hostel is located in a quiet, luxurious and safe part of Prague. Location of hostel Dakura is simply great - perfect access for all modes of transport. We are a family run Bed & Breakfast where you will find friendly atmosphere, cleanliness and individual approach. The new four-star Hotel Silenzio is located on the southern slopes of the legendary Hanspaulka district in Prague, which is famously characterized by its modern 20th century functionalist architecture. Small familly penzion, 20 minutes walking from one of the most romantical place in Prague - Prague Castle. !! 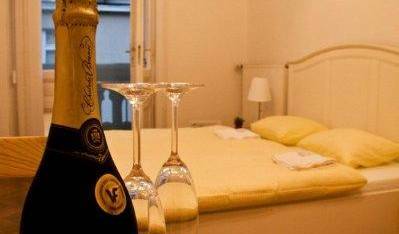 !DOUBLE ROOM PER 24 EUR/NIGHT!!! Suitable for everybody who is looking for pleasant cheap accommodation. THE 7th NIGHT IS FOR FREE!!! Luxury modern hotel only 10 minutes drive from Prague Castle , comfortable parking, exellent kitchen ! Penzion leží v malebném městečku Hronov, obklopen čistou přírodou a dlouhodobou historií v podobě hradů a zámků v okolí. Hotel Panon stojí na okraji Hodonína, v těsné blízkosti sportovního centra s vnitřním i venkovním bazénem, asi 1 km od hranice se Slovenskem. Wi-Fi je k dispozici zdarma. Very nice hotels in Spindleruv Mlyn. Feel at home and enjoy the personal atmosphere and space of ones own apartment. You stay in cozy, comfortable and nicely furnished apartments near the city center - stay inexpensively in Vienna. Single and double rooms with showers. Good location, walking distance from the Old City, close to the metro line. Best Western Plus Pytloun Design Hotel**** with original design style is made to offer maximum level of comfort even for the most exacting customers. Free wieless internet connection 15Mb/s on the premises of hotel (rooms, restaurant, garden). Jedná se levné ubytování v turistické ubytovně ve sportovním areálu nedaleko řeky Jizery na klidném místě. Modern cheap accommodation hotel type near the dam and city center. Luxury 4-class family hotel with 92 rooms and a conference centre, a restaurant with an open-air summer terrace, a wine-restaurant and a large car park for 180 cars and 3 buses. Car park, WiFi and air-conditioning free of charge. „Queen Size“ Bed 210x100 cm, 25 sqm, Free WIFI, Air-con, Minibar (empty, shop at the reception 24 hrs), LCD TV, Direct dial phone, Safe; Bathroom with Bath tub combinated with Shower, Toilet, Bidet, Hair dryer. Some rooms with a balcony. All rooms are quiet (all windows and walls are anti-noise). Some rooms with the street view and some with the view of the countryside and the Uhlava river valley. Voltage 230V, 50 Hz. Double room – possible as double or twin. „Queen Size“ Bed 210x100 cm, 25 sqm, Free WIFI, Air-con, Minibar (empty, shop at the reception 24 hrs), LCD TV, Satellite programmes. Direct dial phone, Safe; Bathroom with Bath tub combinated with Shower, Toilet, Bidet, Hair dryer. Some rooms with a balcony. All rooms on higher floors, with the view of the countryside and the Uhlava river valley. Voltage 230V, 50 Hz. 2 rooms (Single/Double/Twin/ for disabled people. Double room – possible as double or twin. „Queen Size“ Bed 210x100 cm, 25 sqm, Free WIFI, Air-con, Minibar (empty, shop at the reception 24 hrs), LCD TV, Direct dial phone, Safe; Bathroom with Bath tub combinated with Shower, Toilet, Bidet, Hair dryer. Some rooms with a balcony. All rooms are quiet (all windows and walls are anti-noise). Some rooms with the street view and some with the view of the countryside and the Uhlava river valley. Voltage 230V, 50 Hz. Double room – possible as double or twin. Triple room – 3rd Bed Standard Size 190x100 cm. „Queen Size“ Bed 210x100 cm, 25 sqm, Free WIFI, Air-con, Minibar (empty, shop at the reception 24 hrs), LCD TV, Satellite programmes. Direct dial phone, Safe; Bathroom with Bath tub combinated with Shower, Toilet, Bidet, Hair dryer. Some rooms with a balcony. All rooms on higher floors, with the view of the countryside and the Uhlava river valley. Voltage 230V, 50 Hz. 2 rooms (Single/Double/Twin/ for disabled people. Double room – possible as double or twin. Triple room – 3rd Bed „Standard Size“ 190x100 cm. 1 Bedroom with 2x „Queen Size“ Bed 210x100 cm (possible as double or twin) + 1 living room with a sofa + 2x Bathroom, in total 50 sqm; both rooms equipped with Free WIFI, Air-con, Minibar (empty, shop at the reception 24 hrs), LCD TV, Satellite programmes, Direct dial phone, Safe; Bathrooms with Bath tub combinated with Shower, Toilet, Bidet, Hair dryer. Balcony and view of the countryside and the Uhlava river valley. Voltage 230V, 50 Hz. Max. occupancy 2 adults. 1 Bedroom with 2x „Queen Size“ Bed 210x100 cm (possible as double or twin) + 1 living room with a sofa (double bed for max. 2 children), 2x Bathroom, in total 50 sqm; Both rooms equipped with Free WIFI, Air-con, Minibar (empty, shop at the reception 24 hrs), LCD TV, Satellite programmes, Direct dial phone, Safe; Bathrooms equipped with Bath tub combinated with Shower, Toilet, Bidet, Hair dryer. Balcony and view of the countryside and the Uhlava river valley. Voltage 230V, 50 Hz. Max. occupancy 2 adults + 2 children max. 5 years old. 2x Bedroom each with 2x „Queen Size“ Beds 210x100 cm (possible as double or twin), 2x Bathroom, 50 sqm. Both rooms equipped with Free WIFI, Air-con, Minibar (empty, shop at the reception 24 hrs), LCD TV, Satellite programmes, Direct dial phone, Safe; Bathrooms equipped with Bath tub combinated with Shower, Toilet, Bidet, Hair dryer. View of the countryside and the Uhlava river valley. Voltage 230V, 50 Hz. Max. occupancy 4 adults. „Queen Size“ Bed 210x100 cm, 25 sqm, Free WIFI, Air-con, Minibar (empty, shop at the reception 24 hrs), LCD TV, Satellite programmes. Direct dial phone, Safe; Bathroom with Bath tub combinated with Shower, Toilet, Bidet, Hair dryer. Some rooms with a balcony. All rooms on higher floors, with the view of the countryside and the Uhlava river valley. Voltage 230V, 50 Hz. „Queen Size“ Bed 210x100 cm, 25 sqm, Free WIFI, Air-con, Minibar (empty, shop at the reception 24 hrs), LCD TV, Direct dial phone, Safe; Bathroom with Bath tub combinated with Shower, Toilet, Bidet, Hair dryer. Some rooms with a balcony. All rooms are quiet (all windows and walls are anti-noise). Some rooms with the street view and some with the view of the countryside and the Uhlava river valley. Voltage 230V, 50 Hz. New comfortable hostel with FREE internet connection and restaurant in the center of Pilsen! Whether you are travelling for business or pleasure - you can expect friendly hospitality and top quality at reasonable prices when staying with DAS REINISCH Vienna Airport Hotel. A spacious 5th floor apartment in an historical functionalistic building at the very heart of Prague. Welcome to Apartment Historical Centre! 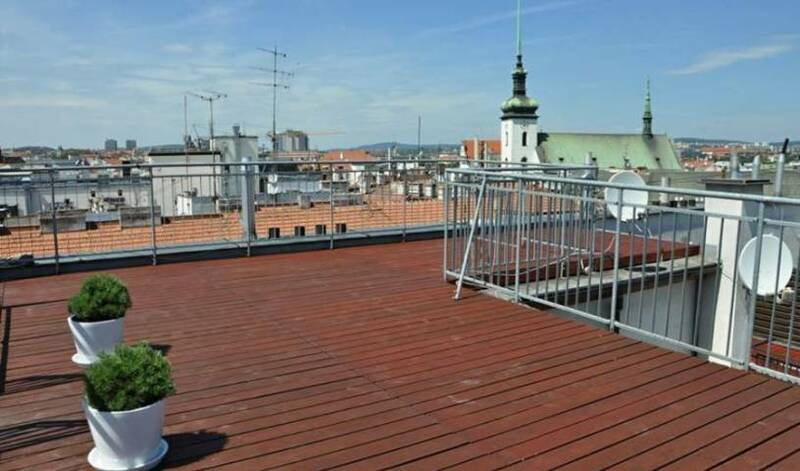 Apartment is situated in the perfect location of Bratislava historical centre. Apartment Blue Danube is situated in a perfect location directly in the historical part of the capital of Slovakia - Bratislava, very close to Danube River. All interesting sights are around in walking distance. FUKAS Apartments are "high standard" apartments in the historical center of Bratislava.